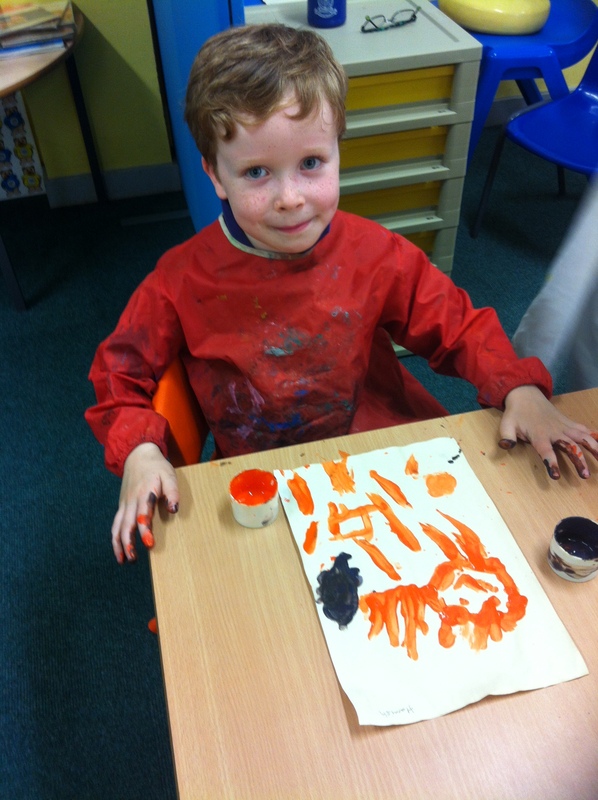 We had great funmaking Caveman Art this week! We used tea and coffee to stain the paper and left it to dry. 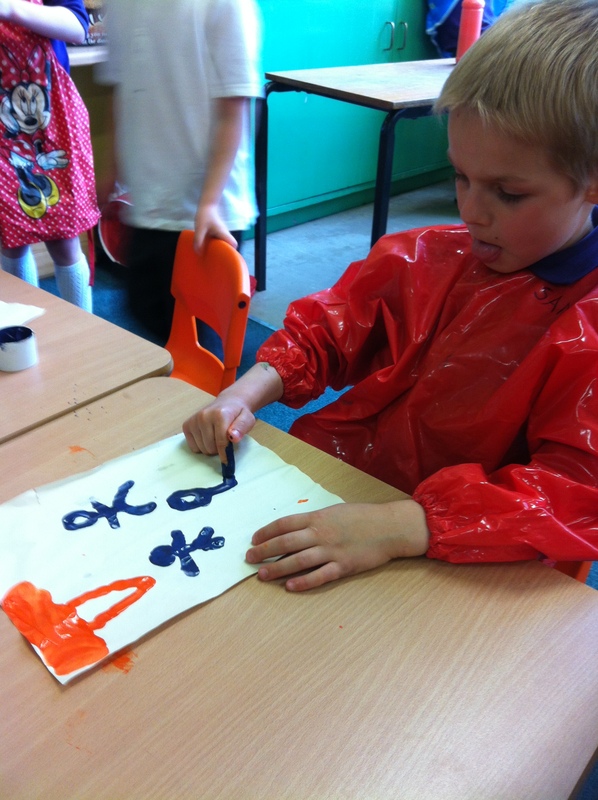 Then we painted pictures about ourselves. 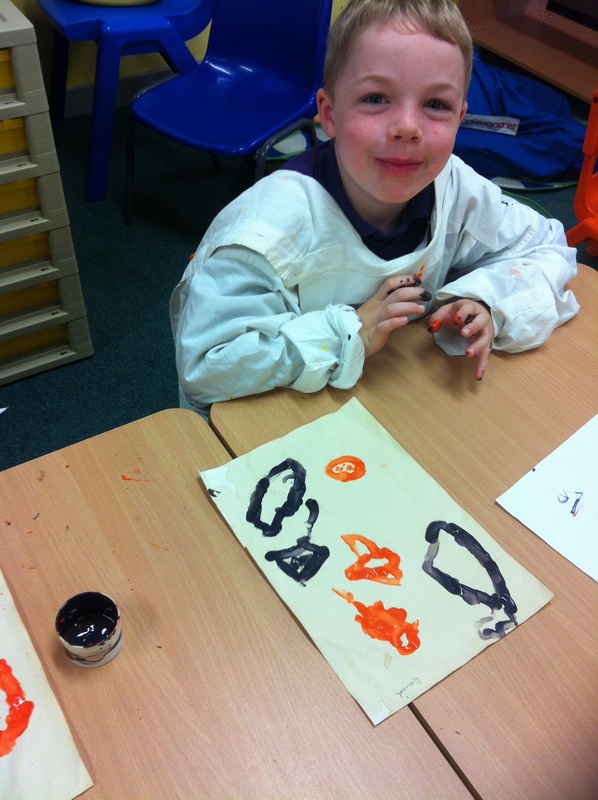 We thought that cavemen could have used charcoal and berries to paint with, so we used natural colours for our pictures. 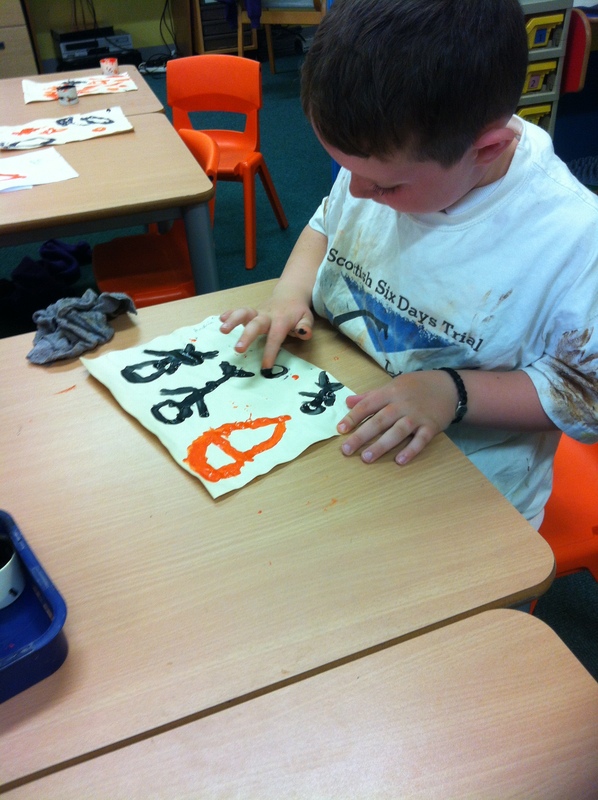 We enjoyed looking at pictures of real cave art too!